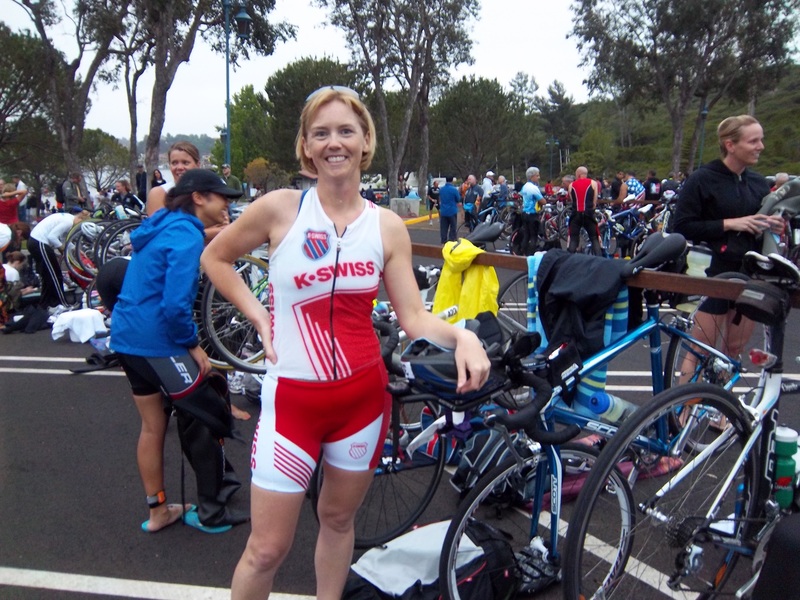 I did the Orange County International Triathlon. It was a great race for me. I actually qualified to go to Nationals in August! Full race report here. In an effort to meet my running goals in the summer and fall (sub 1:40 half marathon in August, sub 4:00 marathon in October, and completion of a 50K trail race in November), I really tried to increase my running miles. I managed to do 32 more miles than the month before (by far my biggest running month ever!) It was a 30% increase in running miles but my body feels fine. No issues to report. I am also trying to ramp up my cycling. It is my weakest part in my triathlons so I am working hard to get better. I started Computraining again so that should help a lot. It was a good month overall. I am feeling really driven to make some improvements in all aspects of my life. We woke up at 4:20 AM and started getting ready. Having another person trying to get ready at the same time was interesting… My husband hasn’t raced much so he had a lot of questions. Every time I was asked a question I got distracted from what I was doing. As a result I ended up forgetting my directions for getting to the race! Bag is packed, I'm ready to go! 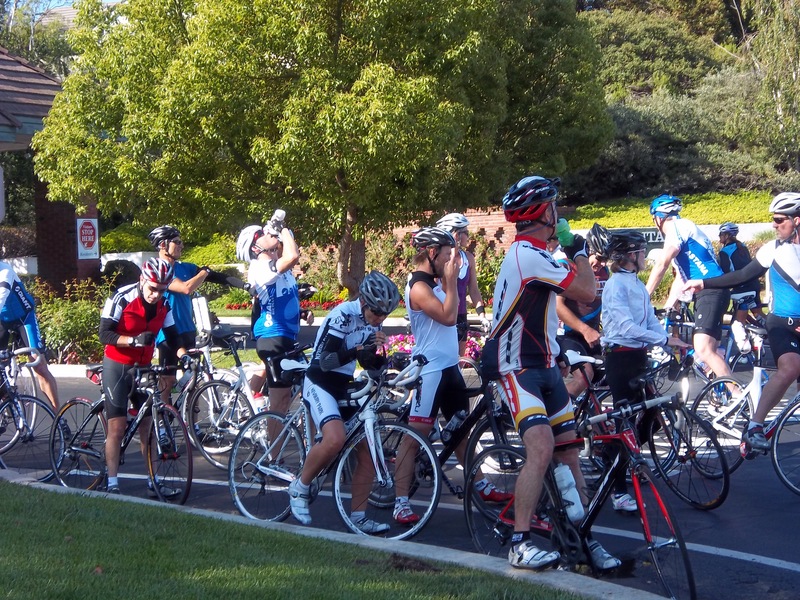 I got my husband dropped off very early at his transition zone and then started off to mine. Problem was I had no idea where to go. I drove around for a good 10-15 minutes until I finally spotted a teammate’s car and followed her. All the while the coffee and food are kicking in and I needed to find a potty soon! So got to the start, got set up (kept loosing my bike on the rack; note to self, bring chalk next time), hit the potty, got on my wetsuit and connected with a friend, Shiela K., from Twitter and the Dailymile. Very cool to meet someone at the race that you have been corresponding with for awhile. The coolest part was that we passed on the course a couple of time! Always good to see a familiar face! Made it down to the start and got in the water to scope out the entry and feel the water temp. Super nice entry and the temp was perfect! Chatted with a few more people then waited for my wave (# 3 this time!) I went to the front of the pack because I am a strong swimmer and waited for the start. The swim was great. A little crowded at first but as we thinned out, I just set my sights on catching as many people as I could. I felt great! I really concentrated on my stroke trying to get the most out of each one. I did the 1500 meter swim in 26:25. I heard I was 13th out of the water (not sure out of how many). 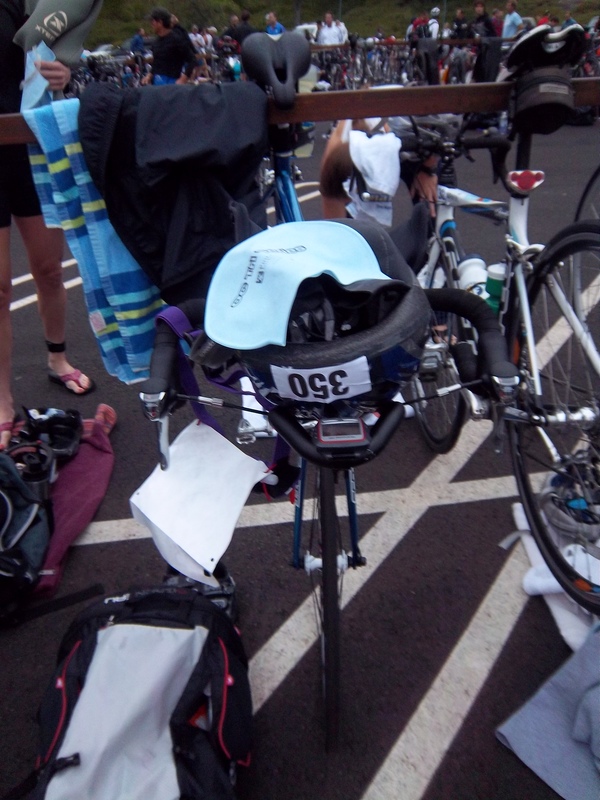 Had a slow transition, I thought, because I was really wet after the swim. I know that sounds silly but I think my wetsuit is too big so it is holding a lot of water when I get out. Anyway, I got out of transition and onto the bike course. The course was relatively hilly. Nothing really steep, just some longish gradual climbs. I am not a strong cyclist so I got passed…a lot! Still, when I wasn’t climbing I did my best to keep the pace up. I am really happy with the fact that my average cadence was 84 for the ride! (see Garmin data here) The 40K took me 1:24:26. (definite room for improvement). T2 was funny because it was at a different location than T1. So we showed up to just our shoes essentially. 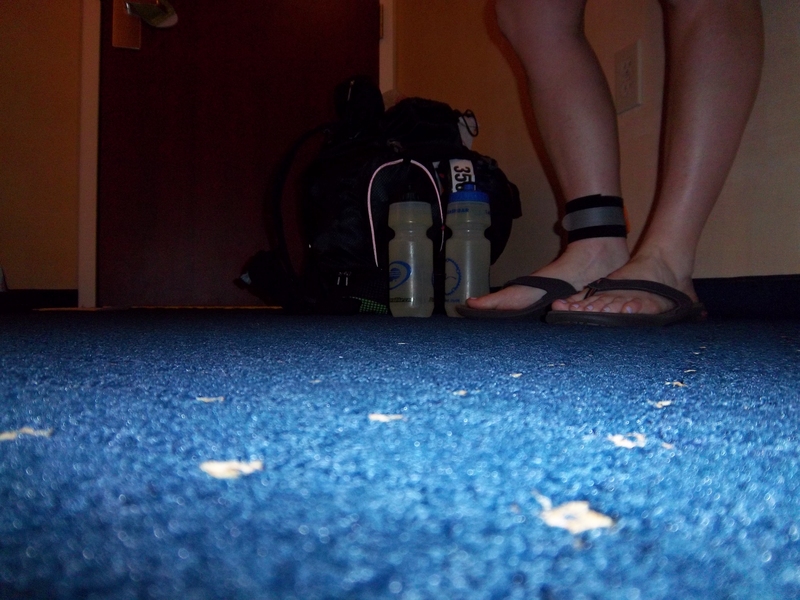 I found my bag dumped everything out, sat down and got my shoes and hat on, grabbed a Gu and my Garmin and took off. I felt strong on my feet! I knew there were some hills to contend with but I wasn’t nervous for them due to all my recent trail running experience. It was a challenging run but since the terrain changed constantly the six miles flew by! Except for the two miles in the middle which were mostly up, I did a sub 8 pace. (see Garmin data here) So overall I ran 49:58 for 10K and I finished feeling strong! Overall I was 4th out of 35 for my age group, and 44 out of 202 for my gender. I feel that with a little (more likely a lot) work on my bike I could maybe land on a podium at some point. A girl can dream can’t she? **Turns out my results were good enough to qualify for Nationals. Anyone want to sponsor me? But I want the cool bike!!! One of the biggest struggles I am finding as a new triathlete is figuring out how to afford all the stuff! Running was no big deal. Shoes are pricey but they are manageable even if you replace them every 3 months (like I do). Swimming is the cheapest of all three disciplines! But once you start adding in the bike…the game changes! 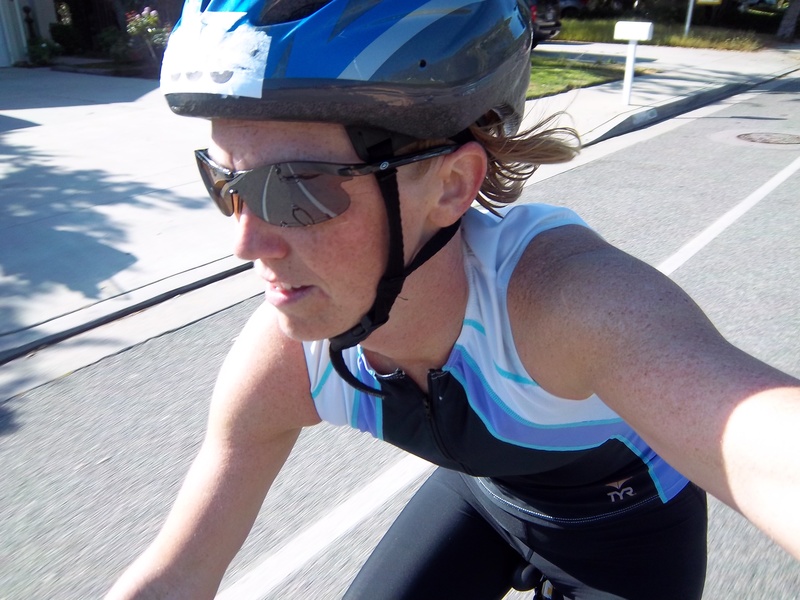 When I first started the tris I was nervous to invest in a bike (not to mention I didn’t have the cash lying around) because what if I was no good. What if I hated it. So I was lucky enough to get a hand-me-down from a running partner. The bike fit well, and was in great shape but was fairly old and not very upgradeable. I rode it for my first tri (a sprint) and it was fine. 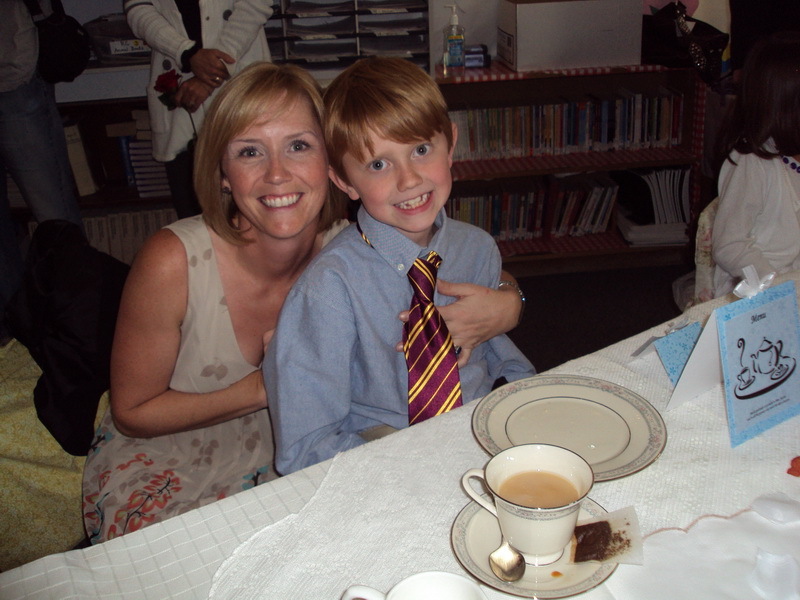 At that point I had decided I was in this for the long haul. 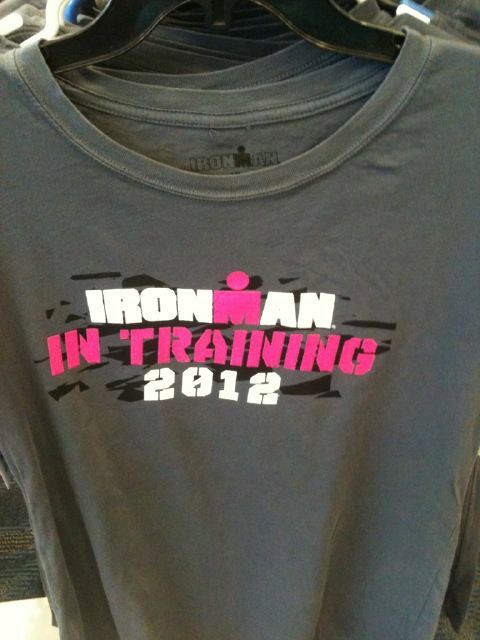 I wanted to go for the grandaddy race eventually, a full Ironman, so I better get some better equipment. I ended up buying a road bike, an 2010 Scott Speedster S30. Perfectly acceptable bike. Great bike. But no bells or whistles to speak of. I rode it for my next tri (and Olympic) and it was fine. I trained on it all fall and winter in my computraining classes and made some great progress. I used it for my first Half Ironman in April. But part of me can’t help but think, would having a true tri bike or TT bike help give me an edge or make me a little better? Mary, the Ironman, with her wetsuit strippers. LOVED THIS RACE!!! With the exception of a flat tire, it was a great day. I knew half way through the swim I wanted to do another one. I felt so well prepared for this race and this course. 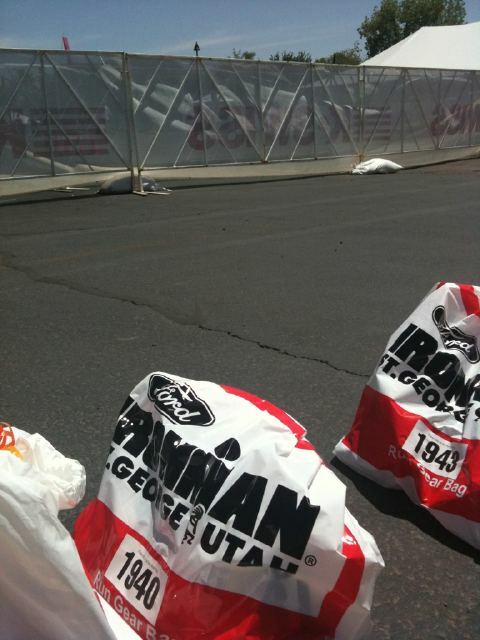 Last year was the inaugural race for Ironman St. George and it immediately took the title of hardest Ironman course. It has a hilly, tough bike course with over 6800’ of climbing followed by the most difficult run course in all of Ironman. There are no flat areas on this marathon, you’re either running up or down the whole time and some of the hills are quite steep. 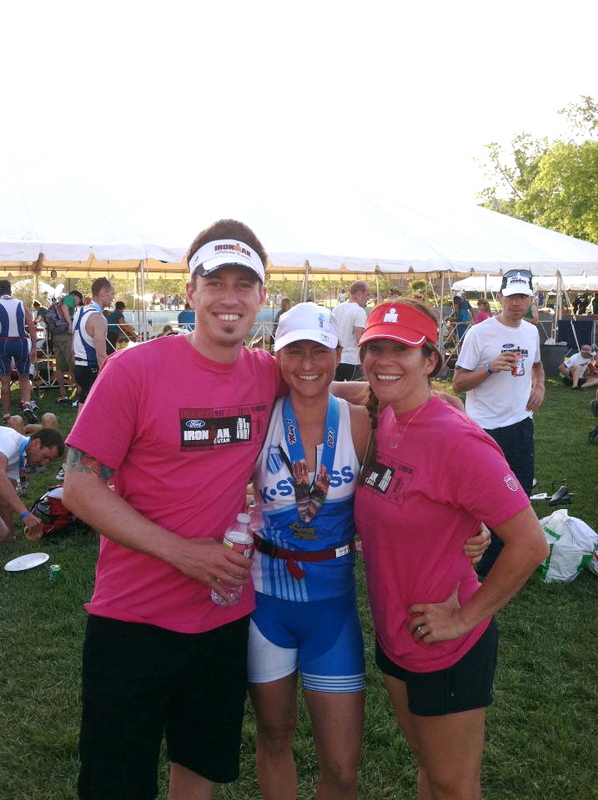 Everyone asked me why would I want to do the hardest Ironman as my first one? I figured what does it really matter? I’ve never done an Ironman so any Ironman is going to be hard and if I do the hardest one first the others will all be easier. My swim wasn’t as fast as I would have liked, but I’m completely happy with it because it felt good other than some leg cramps. I was SO stressed about the swim. About the lake conditions, the mass start and of course the length of the swim. Fortunately the lake was flat and the water temp fine. Got off to a good start, didn’t have too much struggling with the other 1500 athletes and quickly settled into a good rhythm. I felt calm and strong until my leg started to cramp which freaked me out a bit. My left calf & hamstring started cramping and I had to stop. I panicked a bit and called out for help to one of the swim support. As the guy was coming out to help me all I could think was that there was no way I was going to let my race end in the swim. I just needed to keep going and hopefully it would go away. I managed to keep the cramps at bay for the most part and did OK with the rest of the swim up until the very end when a guy whacked me in the eye and my goggles filled with water making it difficult to see the swim out. I didn’t know until the race was over that I had a broken blood vessel in my eye. It doesn’t hurt it just looks painful. Had a quick swim to bike transition and headed out on the bike feeling really good until about mile 20 when I felt my tire go flat. As soon as I flatted I knew my dream of qualifying for Kona was over. Everything had to go right to finish in the top 2 in my age group, there was no room for error in my race. I got off my bike, took of f the tire and tube (back tire of course), felt around the inside of the tire but couldn’t find what caused the flat, so I put in a new tube, blew it up after the 2nd try with the CO2 cartridge and put it back on the bike. I was so proud of myself for changing my own flat and then the new tube immediately blew a hole. And that’s when everything could have gone incredibly downhill. I didn’t have another tube and for a few minutes I mentally started to shut down because all I could think was “there goes the dream”. A very sweet guy threw me another tube and cartridge from his bike but I couldn’t get the CO2 pump to work so I was stuck waiting for bike support to come. The bike support guy found a tiny shard of glass on the outside of my tire that was the cause of my flat. In the 20 plus minutes that I was on the side of the road with my flat a lot of things went through my head, most importantly what my friend Bryan Ogle told me. He said you can’t control everything that happens but you can control how you react. At that point I switched from Goal A to Goal B. I decided that even if I couldn’t qualify for Kona I was going to have the best race I could have and I was going to set myself up for a great run. Pressure off to qualify for Kona, just go out and do my best. And most of all I was going to really enjoy the day, it was after all my first Ironman. I knew that it wouldn’t be smart to go out and try to make up for lost time by pushing too hard on the bike, so I did as I was trained to do, followed my Heart Rate for the next 9 hours and raced my race. The bike was great and the run indescribable. We had a high of 92 in a very dry, windy climate. There were hydration/nutrition stops at every mile of the run as well as cold sponges and ice to help keep you cool, but it was almost impossible to stay hydrated and keep up with electrolyte losses. To see the amount of suffering among the athletes on the run course was unbelievable. I have never seen anything like it. There were far more people walking than running, even some of the pros were walking at times. People were throwing up and cramping and many had to be pulled off the run course due to heat exhaustion/dehydration. It was one giant suffer fest up on the big hill that you had to do 2 loops on. Fortunately my problems were minimal. My adductors were really tight from the bike and at about mile 13 my left foot and calf started cramping on and off. I was really worried that pretty soon my leg was going to seize with cramps and I would have to start walking. I took a couple of salt tablets and a lot of water and just hoped that they would take effect in time. I kept going and eventually the cramping subsided. As I have never run more than 18 miles I wasn’t sure how the last 8 miles of the marathon would play out. Everyone told me that it would start to get ugly at about miles 18-20 and then you just have to make it through as best you can. So when mile 18 came I was braced for the pain to come, and at mile 20 I thought for sure this is it, but incredibly it never came and I had the best run I could have hoped for. I ran a 3:54 marathon in the most difficult conditions on the toughest course. I was elated! Only one other woman in my age group was faster at 3:49:51 and she won. I finished 8th in my age group at a time of 12:09, without my flat I could have finished 3rd, but there were only 2 qualifying spots for Kona so that gives me some relief. I am incredibly happy with my race on many levels. I didn’t know going into this if Ironman would end up being a race that I would want to do again, I thought maybe the half Ironman distance would be more my race. I am completely hooked! I loved this race and I can’t wait to do another one! Per coach's instructions they stayed off thier feet prior to the race. Pre-Race ride checking out the bike course with two teammates. It’s hard to believe how fast 12 hours can go by. 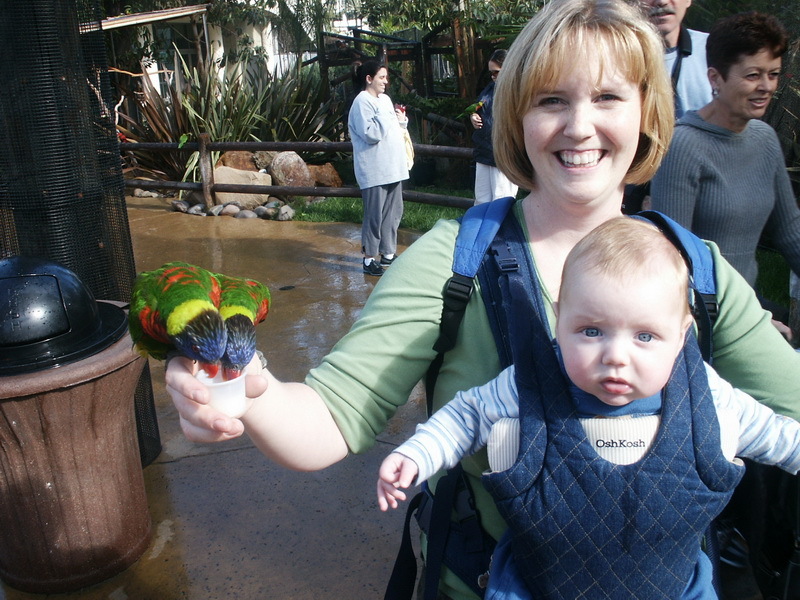 I made such a point to really enjoy the day and the entire experience. The volunteers and spectators were absolutely amazing and the scenery is breathtaking. It was such a fantastic day! Thank you all for your emails, texts, facebook posts and calls. I so appreciate every bit of support and encouragement! Thank you for sharing in the most incredible day of my life. *Mary’s performance was amazing! I hope that when I finally do my first full Ironman I will be as well prepared as Mary was and have such an amazing mind set during the race! It has been just under a year since I made the decision that I wanted to do a full Ironman triathlon. Originally I wanted to try and do it this year but I felt it was important to do at least one 70.3 before I did a 140.6. And since you have to sign up for most Ironman a full year in advance, it meant I can’t do one until 2012. As a result I am watching a bunch of my new friends (people I have met since I have started this journey) getting ready to do Ironman St. George tomorrow, and it has me excited. For some people this will be their first and for others it is just the first for the year! “I can’t believe the big day is finally here! 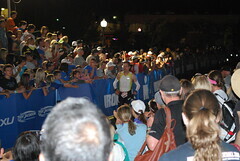 Ironman St. George will start at 7 am Saturday May 7th (6 am in CA, 9 am in NH). I have been training hard for 7 months now and am both nervous and excited. 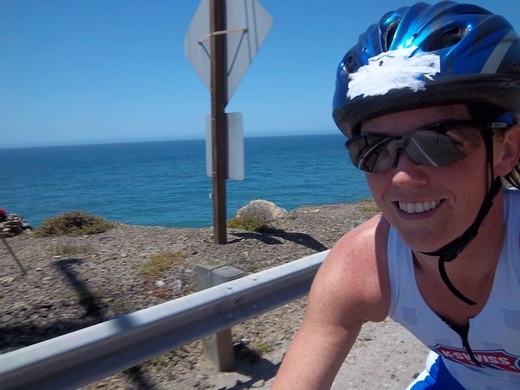 Yesterday was very windy making for a cold, choppy swim and windy bike ride. Today there is no wind and the water was warmer (62) and flat, perfect for race day conditions! I’m hoping for a windless day on Saturday even though the highs look to be about 90 when we start the marathon. I am hoping to complete the course in under 11 1/2 hours, but weather among other things will play a part in my time. St. George is a beautiful town and I am racing with several really good friends so whatever the outcome it will be a incredible day. The journey getting here has been amazing and I am a different person because of it. I love everything about this crazy race called the Ironman, the friends I have made and what it has shown me about myself. The journey getting here has been amazing and I am a different person because of it. Many of you have asked about following my race on Saturday. You can go to www.ironman.com and at the top of the page will be a header for St. George and a subtitle that says Athlete Tracker. Click on that and you can put in either my name or my bib # which is 262 (very lucky #, 26.2 miles in a marathon!). There will be an update after the swim and then several throughout the ride and run course. All I could think of was the letter I will get to write next year! One more year and it will be my turn! Good luck to those racing tomorrow! 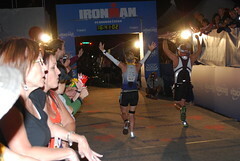 I can’t wait to hear your stories of how your day went becoming an Ironman! One of my friends who is competing tomorrow found a shirt for me! One of my teammates tweeted this picture. I am so jealous!